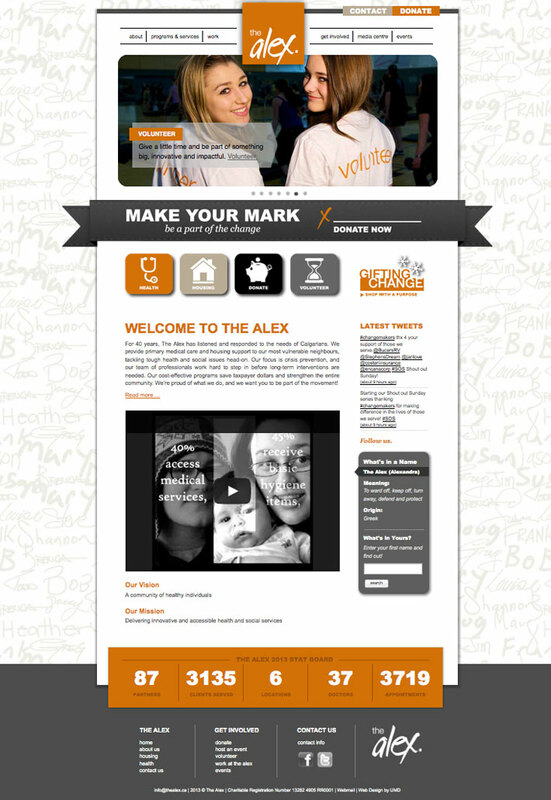 The Alex is a non-profit organization located in Calgary. 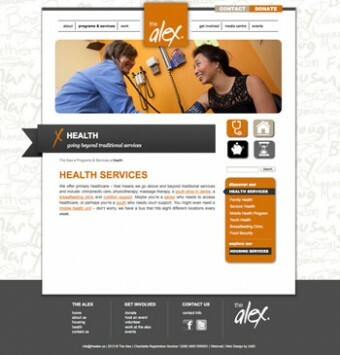 They needed to redesign their website to make it more uplifting, which was a tough task considering the field they are in. Under the umbrella of Urban Motif Design, we developed a custom WordPress theme so the organization can easily add more content (text, images, videos, slideshows, etc.) 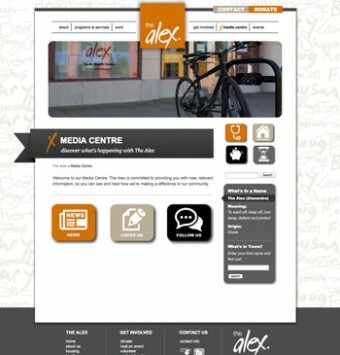 and made the theme responsive so it looks good on various devices. We also created a custom widget/plugin that allows visitors to discover the meaning of their names.